Taking your little one to the dentist can be a difficult experience. But it’s important to establish from a young age the importance of oral hygiene and putting your child at ease with a dentist that cares. 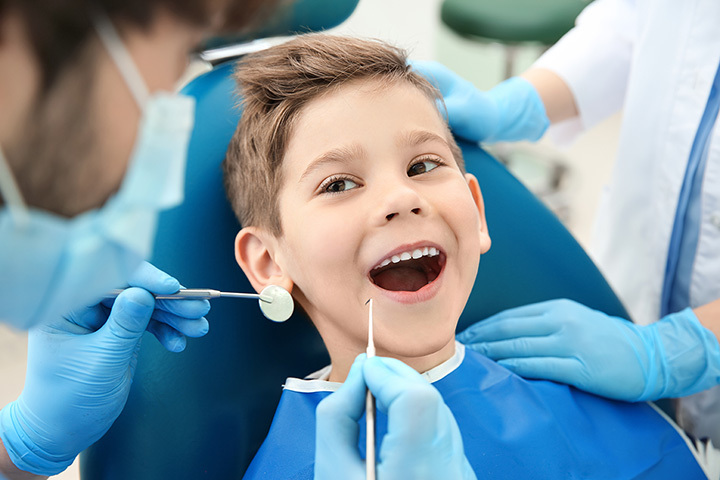 In Wyoming, there are specialized dentists who are experts in making your child feel comfortable for an easy experience. Here are the 10 best. The small town of Powell is in good hands with Powell Family Dentistry. This office specializes in making kids feel comfortable going to the dentist. The friendly, knowledgeable staff will help with any local family’s dental needs. One of their specialties is clear braces, which come at a fraction of the cost of traditional wire braces. Powell Family Dental’s services include bridges, crowns, dentures, extractions, dental hygiene and periodontal health, extraction site preservation, inlays and onlays, oral and maxillofacial surgery, and more! Casper’s Advanced Family Dental provides a nurturing and supportive environment where the patient’s comfort is the highest priority, making it a great option for kids who are wary of the dentist’s office! Their treatment options include dental exams and checkups, fillings and restorations, dental sealants, dentures, bridges, crowns, tooth extractions, gum disease laser therapy, teeth whitening, dental implants, restorative dentistry, porcelain veneers, teeth whitening, and clear correct. Not matter what your dental needs are, Advanced Family Dental is the place to be! At Glenrock Family Dental, patients get the most out of dentistry. The friendly staff, welcoming environment, and cutting-edge technology make this a great dentist for families. They offer a wide range of services including dental hygiene, implants, cosmetic veneers, whitening, root canals, bridges, crowns, dentures, bonding, biopsy, crown lengthening, frenectomy, scaling and root planing, and Invisalign and night guards. Glenrock Family Dental will make getting the perfect smile easy! The Cotant Family Dentistry in Buffalo provides a huge list of oral health services in a relaxing and compassionate atmosphere. They use only the most up-to-date techniques and technology to ensure that patients receive the best care possible. Their services include general dentistry, preventative care, deep cleanings, crowns and bridges, implants, dentures, root canals, TMJ and bite disorders, oral appliances, and sleep apnea treatment. This Cheyenne dentistry provides fantastic dental care for the entire family. No matter what your dentistry needs, Cheyenne Family Dental Center provides compassionate and gentle care! Lorenz Family Dentistry provides a large selection of general and cosmetic dental procedures for a wide range of conditions and needs. This dentist's office goes above and beyond and can even offer reminders to take premeds if applicable! Their extensive treatment options include bonding, composite fillings, teeth whitening, dental exams and cleanings, digital and panoramic x-rays, fluoride treatment, sealants, oral cancer exam and screening, oral hygiene aids, amalgam fillings, crowns, dental implants, fixed bridges, onlay restorations, periodontal disease diagnosis and treatment, oral and maxillofacial surgery, periodontics, endodontics, dental emergencies, dental implants, porcelain veneers, pediatric dentistry, and gum disease treatments. All patients at this dentistry leave with a healthy, stunning smile! Located in beautiful Jackson Hole, Owens Family Dentistry has been treating local families since 1977. Their practice is limited to general dentistry, and services include regular checkups and cleanings, fillings, crowns and implant crowns, deep cleanings, extractions, veneers, porcelain crowns, and fixed and removable prostheses. The town of Torrington doesn’t have many dentists. Despite this, the Family Dentistry provides a huge variety of services including specialty areas like temporomandibular disorders, orthodontics, endodontics, prosthodontics, implants, and cosmetic dentistry. Services include dental restorations, teeth whitening, veneers, contouring, bonding, ceramic crowns, dental implants, orthodontics, periodontics, root canal, oral hygiene and cleaning, wisdom teeth removal, guards and bite appliances, dentures, TMJ (Temporomandibular Joint Disorder), snoring treatment, oral cancer, and more. They even offer nitrous oxide and other analgesics for patients with dental anxiety. This state-of-the-art dentist offers comfortable, personalized, and affordable care. They offer comprehensive services from preventative education and routine checkups to personalized dental treatments. Their services include same-day crowns, extractions, root canal therapy, teeth whitening, veneers, traditional and clear orthodontics, laser cavity detection, digital x-rays, dental implants, bridges, dentures, fillings, and crowns. Hilltop Family Dental in Casper treats their patients like they would treat their families, with high-quality service in a comfortable environment. Some of their services include dental exams, teeth cleaning, dental x-rays, dentures, gum disease treatment, root canals, pediatric dentistry, TMJ treatment, night guards, tooth-colored fillings, restorative dentistry, dental bonding, porcelain veneers, dental crowns, bridges, implants, and orthodontics.